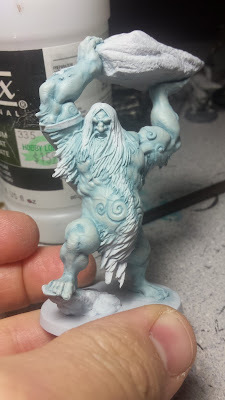 I was eyeing the Sea Serpent or the Troll as my first paint job, but instead decided to get started with the Frost Giant. I was given free reign to paint these up how I see fit too, and be as creative as I want. Which is a real relief. I didn't get any of the game's paperwork with the minis, so following official color scheme would have been a lot harder. For this fella I decided that he needed blue skin, so I started with a base coat of Fair Skin and Crescent Blue mixed 6:1. I then added in some Drakenhof Nightshade for a wash.
After the wash was dry, I started on highlighting. I mixed up some more 6:1 Fair Skin and Crescent Blue and then began adding in more fair skin to work up the skin tone to it. It ended up looking really solid and after the skin was done, I used Drakenhof Nightshade in the tattoo lines to color them. From there I did the hair. 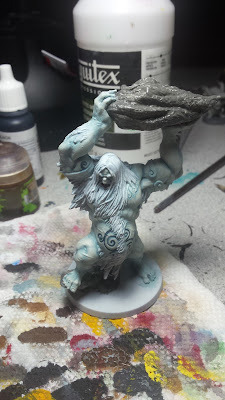 I base coated it with Vallejo White and Grey Green mixed 6:1. Then, like the skin I added in some Drakenhof Nightshade and coated it with the wash. From there I drybrushed it wish pure White and gave it a couple coats, with more white added to higher points to give it more highlighting. 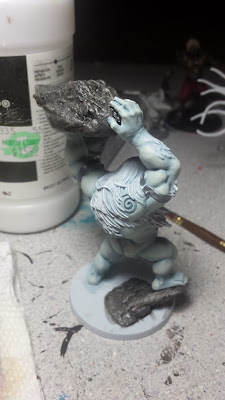 The rock was painted with straight Grey Green and then washed with Nuln Oil. 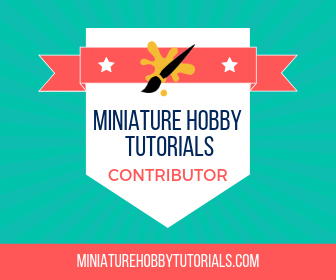 It will be drybrushed with Grey Green, Neutral Grey and White. The arm bands need a little bit more work. 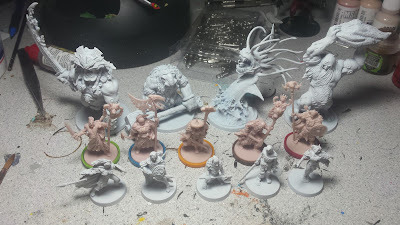 Currently they are only base coated with Reaper Master Series Shadowed Steel. This will be washed with Nuln Oil and then recoated Shadowed Steel, then highlighted with Honed Steel and Polished Silver. That's it for now. Check back later for more Blood Rage progress, or you can see my work as it happens on Twitter and Instagram.